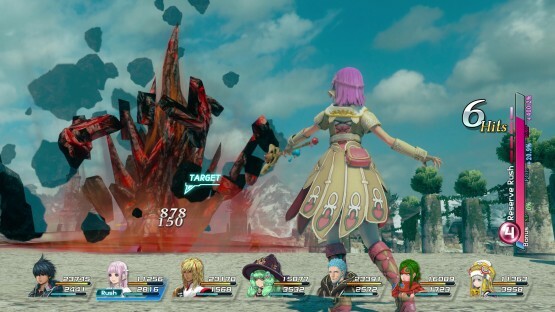 Fans of the Star Ocean franchise have waited long enough to play the next entry in tri-Ace’s storied franchise, but at least that wait is almost over. Star Ocean: Integrity and Faithlessness will be released in the West in just two months, coming exclusively to PS4 on our side of the ocean. Of course, as a huge fan of JRPGs myself, I know that even a “short” wait like this can be absolutely agonizing when you’re anticipating a release date. I can’t fully ease that pain, but I can try to make it a little better — now that I’ve gotten a chance to preview the game at PAX East, I can report on how the game will play when fans get their hands on it on June 28. The initial demo I got to play took me through the opening of the game, to approximately the two-hour mark. Integrity and Faithlessness takes place on the planet Faykreed, a fairly “undeveloped” planet when compared to the rest of the universe. Protagonist Fidel Camuze, from the small village of Sthal, becomes alarmed when scouting units from the nefarious bandit group known as Eitalon. After he successfully takes them down with the help of healer pal Miki, the threat of future invasions prompts him to head to the neighboring Kingdom of Resulia to request military support from the king — a dubious proposition, since Resulia is currently at war. Along the way, he’s joined by Victor, who fights as Special Forces for the kingdom, and Fiore, a magic specialist hired by Resulia to study the unknown weapon that’s decimating their troops. 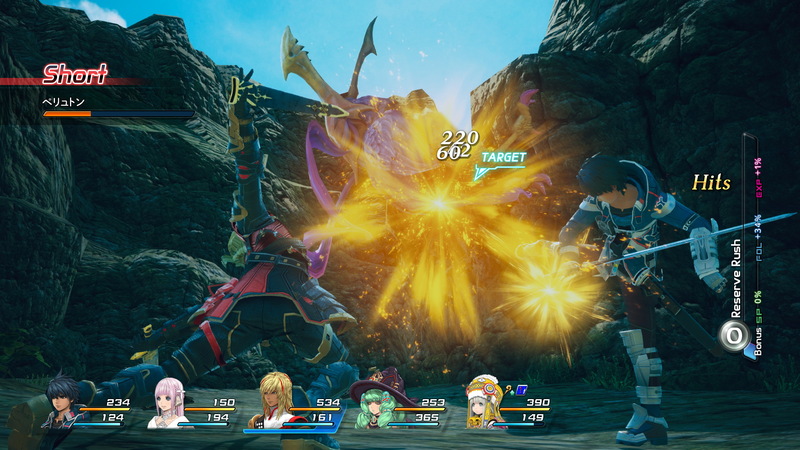 Right off the bat, there are a couple of interesting things to note about this new Star Ocean’s combat. First, the transition between field exploration and battle is seamless, meaning a) no dealing with annoying random encounters and b) no waiting through annoying load times before or after a battle. Second, since the battle system often involves a huge amount of characters at one time — something I’ll talk more about later — using the new “Role” system is absolutely crucial to making sure your AI-controlled party members are taking care of business. Roles are basically general behavior settings you can assign to the characters you’re not currently controlling, as you’re only allowed to play as one at a time (though you can switch between them on the fly using the left and right buttons on the control pad). For example, the Attacker and Healer roles do what they say on the tin, making characters prioritize physical attacks and healing spells, respectively. …Which brings me to the second demo I played, this time ten hours into the game — and with six party members fighting at once. The Square Enix representative assisting me mentioned that the highest number of characters fighting at once is actually a whopping seven, a pretty far cry from your average RPG clocking in at three or four at most. In the ensuing battle during this section, which takes place in some sort of technological facility, the defensive measures I’d practiced on Miki were put to the ultimate test as I was forced to protect a party member (Anne) hacking into a computer system. This can get tricky; though you’d think the five of us remaining could easily handle the onslaught of enemies that ensued, any attempt by me to run away from the area immediately saw poor Anne ganged up on by some slippery foes. Nothing proved the hilarious chaos of trying to keep track of so many party members more than the boss battle that followed, though. Set against a crab-like robot enemy called the “Destroyer,” I suffered a crushing, embarrassing defeat when I tried to pummel it by myself. Forcing myself to try again, I found that my AI-controlled Miki just wasn’t taking care of healing duties as well as I would — so I took control of her myself, letting my teammates take care of the damage while I doled out healing spells from a distance. Though this strategy probably took a lot longer than attacking the boss myself (my pals, to be candid, took their sweet time getting the Destroyer’s health down), slow and steady won out in the end — and my whole party remained standing for our victory. Trying to manage the details of six characters fighting was pretty insane (in a good way), and the framerate remained surprisingly consistent throughout all the chaos, so suffice it to say I can’t wait to get my hands on a seven-character party duking it out at the same time in the full release. 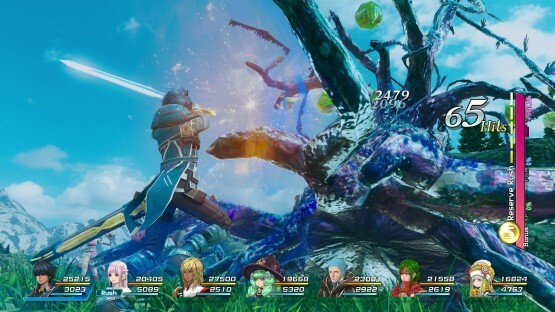 Star Ocean: Integrity and Faithlessness will end the seven-year drought Western fans of the series have faced, and it’s looking like quite the follow-up to 2009’s The Last Hope. Seamless transitions into battle, the interesting Role system and the potential to fight with seven party members simultaneously are all exciting prospects for JRPG fans — and the best part is, the wait isn’t too far away. Integrity and Faithlessness will be out digitally and physically in a Standard Edition for $59.99, and physically in a Collector’s Edition for $109.99. Both versions are PS4 exclusives, and both will be released on June 28.